At least four people took to the streets of Saskatoon with these colourful posters. Raw milk is still headline news is Saskatoon, 11 days after Michael Schmidt's visit. 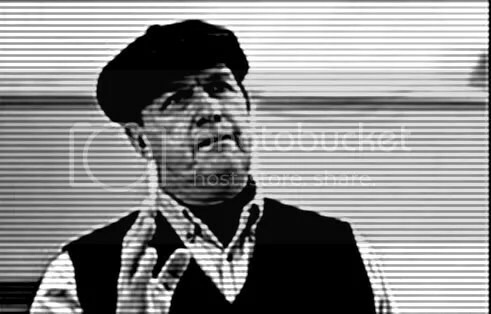 “You wouldn’t think that something so basic as milk could be controversial. However, milk has made a renegade out of me. Raw milk in Sask…. it’s a moovement! 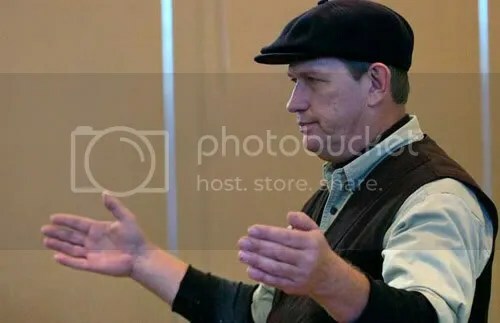 Here’s a report on the Regina Saskatchewan meeting with raw milk farmer Michael Schmidt from Jane Kutarna, who’s involved with the local Weston A. Price Foundation chapter. Thanks Jane. 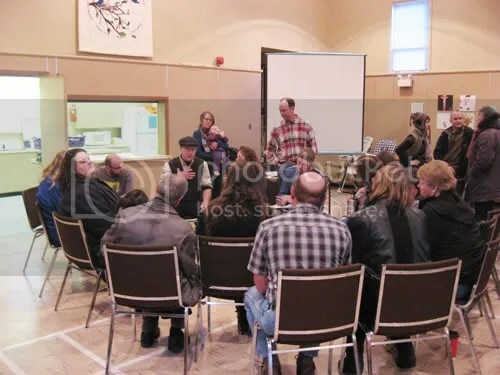 Raw milk farmer Michael Schmidt meets with Saskatchewan farmers and regular folks in a church hall to talk about raw milk concerns. Thanks to Michael for passing on these pictures to the Bovine. 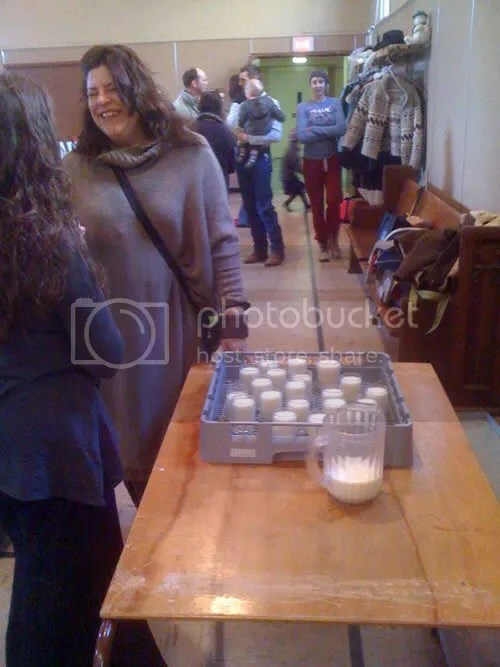 Of course raw milk was an important part of the event!